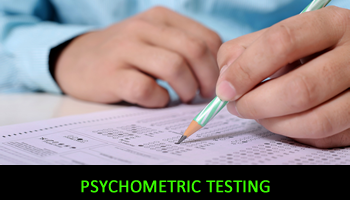 Psychometric tests are a standard and scientific method used to measure individuals’ mental capabilities and behavioural style. They are designed to measure candidates’ suitability for a role based upon the required personality characteristics and aptitude and can be used as part of an overall assessment process related to recruitment, promotion, career development etc. I am licensed to use and interpret test materials from Saville Holdsworth (SHL), ERAS and Thomas International. To discuss any issues where the use of Psychometric Testing tools may be appropriate within your business please give me a call on 07850 208701 or email me on rcwhrsolutions@talktalk.net noting your contact telephone number and I will come back to you as soon as I possibly can.